The Companies Act in Slovenia regulates all the activities a legal entity performs, from its registration to the liquidation. All the commercial entities types are described in the Companies Act, as well as their activities and their major characteristics. All foreign and local investors who want to open a company in Slovenia, should be aware of the rules and regulations stipulated in the Companies Act. A company operates under a registered name. In Slovenia, the name cannot contain name or logo of foreign countries or international bodies (it’s mandatory for the name to be in Slovenian). A registered name must be unique and mustn’t break the law or moral. A name of a registered company can be transferred only if the company is also transferred. In case of a partnership, if a member’s name is used in the company registered name and that person is no longer part of the partnership, he must give its consent regarding the use of his name in the partnership further more. If that partner dies, his name must be erased from the partnership’s name. 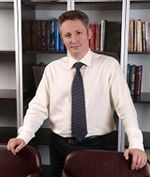 Any Slovanian company must also hold a registered office, where the commercial activities take place. All the companies are represented by appointed persons, registered in the Articles of Association or by law. The representatives carry out legal activities in behalf of the company. The registration procedure is also subject of the Companies Act in Slovenia. The commercial entities must be registered in the court register. 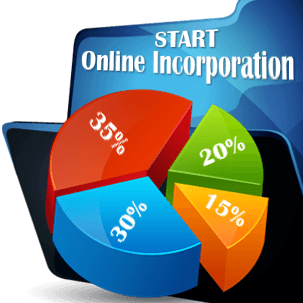 For the first registration, the company must provide: the name of the company, the address of the company, the name of the founders and their address, the main field of activity of the company. Along with this application, the entrepreneur must send the appointment of management and the founding act. Our specialists in company formation in Slovenia are ready to help clients incorporate their businesses in the country. The application must be send to the court registry, no longer than 15 days since the Memorandum of Association was signed. All the changes must be reported to the Register. For example, if the company will cease its activity, the decision of liquidation and the name of the liquidator must be submitted. All the companies must report year-end accounts every year. Besides this, book of account must be held. The companies might be: micro, small, medium-sized and large depending on their characteristics. Micro companies have no more than 10 employees and the value of goods doesn’t exceed 2 mil. Euro. A small-sized company doesn’t have more than 50 employees and the value of assets mustn’t exceed 3.65 mil Euro. Medium size companies have less than 250 employees and the value of assets is below 14.6 mil Euro. The banks, the insurance companies, the stock exchange companies are considered large companies. The types of Slovenian companies are: the limited liability companies, joint stock companies, general partnerships, limited partnerships, limited partnerships by shares, sole trader, branches. Our company formation consultants in Slovenia can help you set up any type of company available in the country. When establishing a company in Slovenia, it is very important to comply with all the rules and regulations stipulated in the Companies Act. Our company registration experts in Slovenia can help you in this regard. Contact our team today for more details!